Lord Krishna is the most charming God in the Hindu pantheon. Here Lord Krishna is depicted as Gopalakrishna along with his cattle. 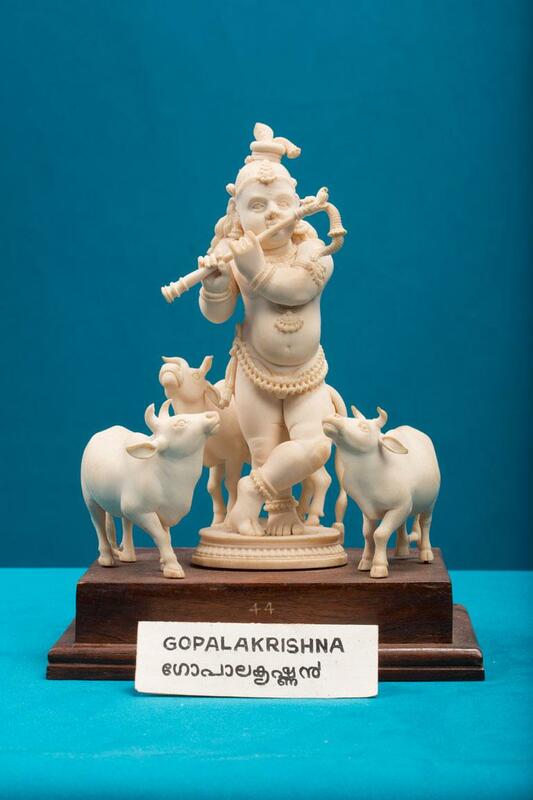 He is represented as playing the flute and the cows are symbolised as peacefully enjoying the melodious notes of the Lord.